Article By: John Garner Jr.
After serving 15 years in the post, Paul Galop announced he is stepping down as CCBL Commissioner. Galop was named Commisioner Emerits at the January 9, 2019 CCBL Board Meeting. Galop, who was elected league commissioner in 2003, has overseen unprecedented growth and success with the league as a record 306 current major leaguers are CCBL alumni, a list that grows every year. Galop and deputy commissioners Sol Yas, Bill Bussiere, Mike Carrier and Peter Hall oversee on-the-field activities including league schedule, umpiring, all-star games, policies and procedures and playoffs and are main liaisons for GM’s and field managers. The personable Galop first joined the Chatham Athletic Association in 1980 as a volunteer and eventually moved into a Director position while coordinating the Chatham A's souvenir book. In 1987, Galop and his family relocated to Lebanon, NH where his 27-year banking career began. The Galop family later returned to Cape Cod in 1989 and the family's involvement with the Chatham A's became reignited a couple of years later. The Galop's became house parents in 1994 and Paul became the Chatham Athletic Association Treasurer in 1995, then President in 1996. After many years with Chatham serving as Treasurer and President, representing Chatham A's as the Executive Committee voting member to the CCBL, spending 10 years as PA announcer at all Chatham A's home games when in-between music was first offered and serving as an Honorary Director, Paul was elected Commissioner of the Cape Cod Baseball League in October 2003. A graduate of Indiana U. 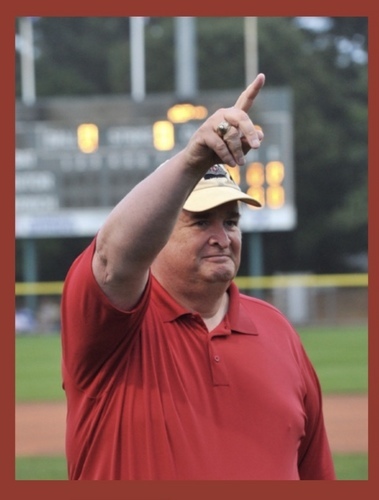 (bachelor's) and Duquesne (master's), Paul's favorite quote is "there would not be a Cape Cod Baseball League without financial support and endless hours provided by the volunteers league-wide. It is that simple". Galop enjoyed daily interaction with players, coaches and administrators and felt blessed to be entrusted with position of Commissioner. "I try to be consistent and fair and would not be able to participate to this extent without the incredible support of my family". A retired banker, Galop has been married to his hometown (Whippany, NJ) wife of over 40 years, Laurie, a retired school teacher. Eric Zmuda was elected by the CCBL board to replace Galop.